PwC 2018 saw the highest-ever jump to the highest-ever level of CEO optimism regarding global growth* Do you believe global economic growth will improve, stay the same, or decline over the next 12 months?... In this document, “PwC” or “PwC Luxembourg” refers to PricewaterhouseCoopers, Société coopérative which is a member firm of PricewaterhouseCoopers International Limited, each member firm of which is a separate legal entity. 21st CEO Survey This year’s survey looked specifically at how organisations are addressing issues such as confidence in business, competition for talent and growth in a disruptive environment. PwC conducted 1,293 interviews with CEOs in 85 countries. 69 CEOs in Turkey participated to survey. 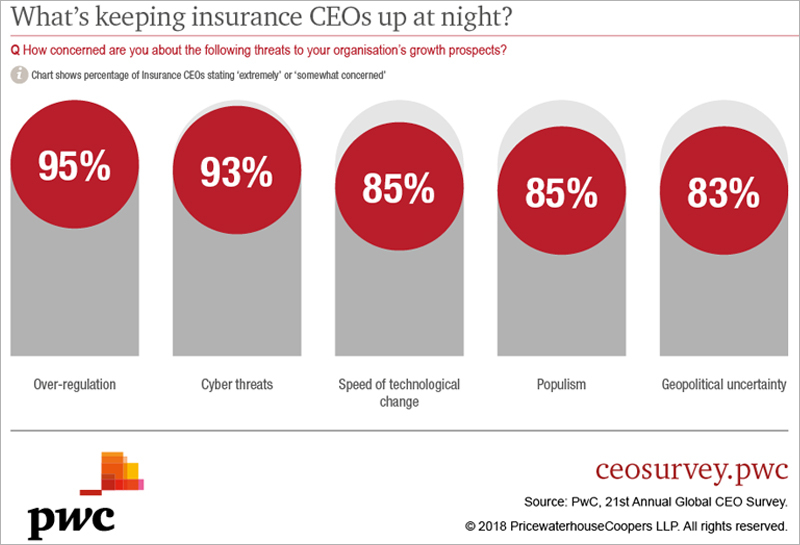 UK findings in PwC’s 21st CEO Survey reveal a leap in confidence about the future. The proportion of CEOs optimistic about economic prospects has more than doubled to 36%, and they are even more confident about their own businesses, with 88% of UK CEOs anticipating growth in the year ahead.